In his address to a gathering at a seminar on aerospace power of the future and impact of technology, the IAF chief also asserted that the strike on a “non-military target with precision at night, deep inside Pakistan demonstrates our ability to hit the perpetrators of violence in our country, wherever they may be”. “In the Balakot operation, we had technology on our side, and we could launch precision stand of weapons with great accuracy. In the subsequent engagements, we came out better because we upgraded our MiG-21 Bisons, and Mirage-2000 aircraft,” he said. 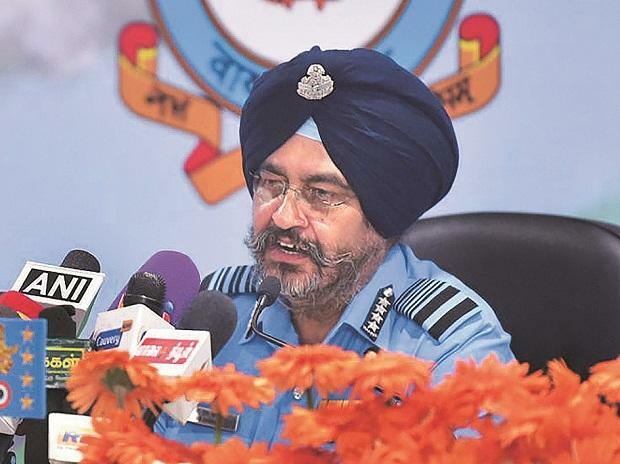 Dhanoa said in his speech, "In the proposed induction of the Rafale and S-400 surface-to-air missile system, in the next two-four years, once again the technological balance will shift in our favour, like it was in 2002 during Operation Parakaram during the last stand-off." India inked an inter-governmental agreement with France in September 2016 for the procurement of 36 Rafale fighter jets at a cost of around ~58,000 crore.